Learn how to make colourful, unusual beads and jewellery. 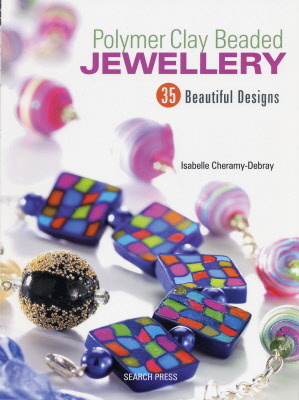 Explore the wonderful versatility of polymer clay and learn how to create a whole range of necklaces, earrings, bracelets and more. 48 pages. 200 colour photographs. 11 step-by-step photograph illustrated jewellery projects. Introductory sections on materials, supplies and techniques.